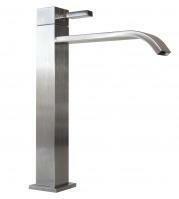 Much taller than the average bathroom faucet, this selection makes the sink easy to use for any purpose. 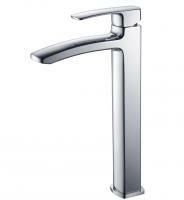 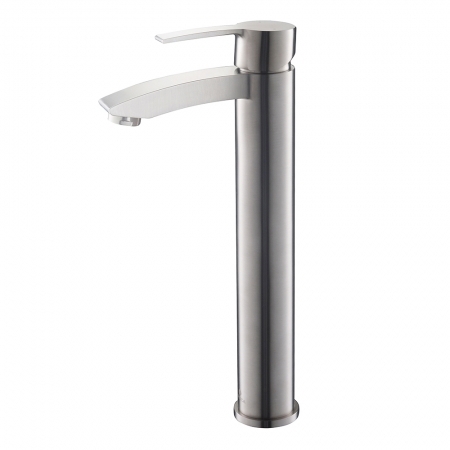 The single lever controls both water flow and temperature with ease. The brushed nickel finish has a soft sheen that is easy to clean and a popular choice for bathroom fixtures.